Bank deposit reliability rating is one of the most demanded indicators of a bank’s financial standing, both for individuals and legal entities who place their savings in a bank’s deposit accounts and in the future would like to be able to monitor its reliability. Available bank deposit reliability rating allows the Bank to stand out among other banking institutions, without disclosing confidential information to the public, to create a positive image in the market, as well as to demonstrate its openness and loyalty to its potential and existing customers. Bank deposit reliability rating is determined according to the Procedure of rating and methodology of determining of the bank deposit reliability rating, developed by IBI-Rating, by the Rating scale of bank deposit reliability. Analytical group, guided by the above-listed documents, conducts a full-scale reserch of quantitative and qualitative indicators of a banking institution’s activity, on the basis of the research findings a Rating report is produced, and the key factors affecting the grade of the Rating of bank deposit reliability are determined. A Rating report is the main document, which is submitted to the members of the Rating Committee (a collegial body) for consideration and decision-making on the determination of the bank deposit reliability rating. Further, the Rating report as well as the Rating Committee’s Decision are submitted to the bank. 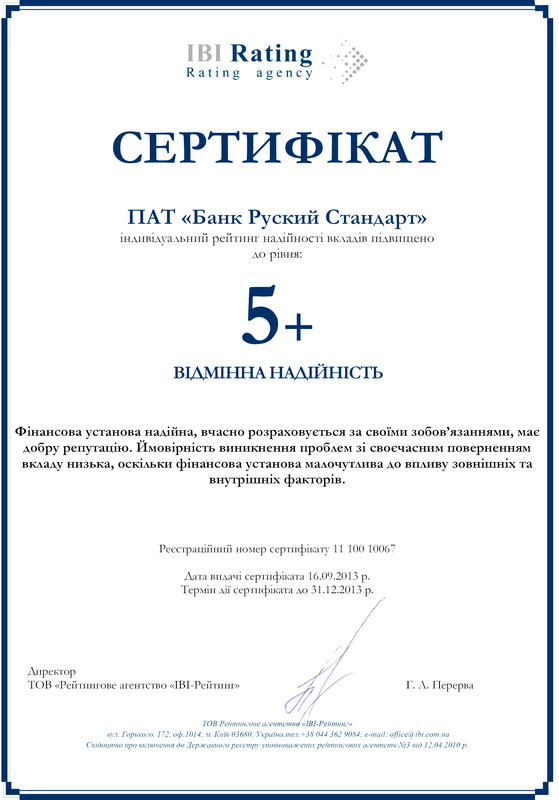 In addition, the bank is provided with a Certificate on the grade of the bank deposit reliability rating and an Information logotype, which the bank can use for marketing purposes, i.e. for placing on the bank's website, information portals, in the presentation materials, as well as at the bank’s operating branches. Aiming at ensuring the relevance of the bank deposit reliability rating IBI-Rating begins a procedure of monitoring of the bank’s activities from the day following the determination of the bank deposit reliability rating, periodically updating the results of the previously assigned rating. Scheduled review of the rating takes place on a quarterly basis. Such a monitoring procedure allows the users of the bank deposit reliability rating to stay informed with respect to the grade of reliability of a banking institution. 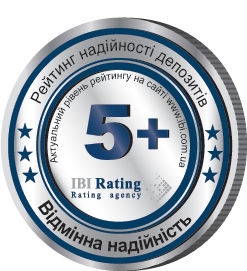 Throughout the entire period of monitoring of the bank deposit reliability rating IBI-Rating carries out information servicing of the rating, which contributes to the creation and support of a bank’s business reputation and allows to keep communicating with depositors.